Objective: Students will visualize then analyze their diets. What is the best diet that one can have? What about FAD diets do they work? Not every student has a camera. Not every school has enough cameras to loan out. This activity may not be feasible for your classes right now but as more and more students have phones and technology gets cheaper you may want to revisit this idea. I happen to work in a school where phones are not out right banned. This allows me the option to have students take pictures with their phones and show me (usually culinary dishes that they make). So for this project I would encourage students to use their phones. If not every student has a phone that takes pictures I would provide cameras or make exceptions like find me a picture on the internet that best matches what you ate. If you still think that this is not a feasible option refer to the Dietary Analysis Project for a handwritten dietary journal. To take this project to another level you can have your students enter their diets into a dietary tracking software to compute the total nutrients like calories, vitamins, and minerals. 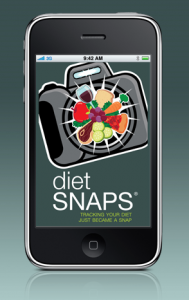 Explain the assignment–students should take pictures of everything they eat, drink, and even of them exercising (optional) for three days using a digital camera or phone. At the end of three days if at all possible print your pictures and put them on a poster board distinguishing between days. If their cell phone plans will not allow for pictures to be printed students can simply bring their phones to class and use the pictures to answer the questions. I suggest having students track their diets and exercise for 3 days. You may want to assign extra credit for students that want to do it for a week. What are the top three colors that you see from the pictures? Are your foods diverse in colors? What does it mean if it isn’t? Figure out how many servings you got from each food group on the food guide pyramid. 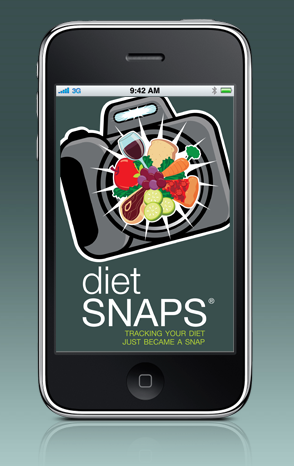 If students were able to print out their photos have the class go around and look at each others’ diets. Who’s diet do you think is the best in the class? Why? Who ate the most vegetables? Who ate the most fruits? Who ate the most dairy products? Who ate the most grains? If we were to assess our class’ overall nutrition on a scale from 1-10, ten being the best, what rating would you give us? Did having to take a picture of what you ate make you more conscientious of what you ate? Did anyone not eat something because you knew you were going to have to take a picture of it? Was this a fair assessment of what you actually eat every day? Why or why not? Was their anything that you learned from your analysis that will make you change your lifestyle? How does one go about changing his/her lifestyle? Why is it important to follow the Food Guide Pyramid?